Summer and perfect fried chicken. Does it get any better than that? My grandmother made the best fried chicken in the world...She was from New Orleans and fried chicken, potato salad or mashed potatoes, green beans and homemade biscuits with butter and honey was regularly on the menu. We loved this dinner and so looked forward to the leftover chicken for lunch the next day...cold out of the fridge. (She called it the "ice box"). I never mastered her recipe, my version was good...but not perfect like hers. Sadly, she passed away in 1999 and things have never been the same. I spent years looking for a delicious fried chicken substitute and James Beard came to the rescue. 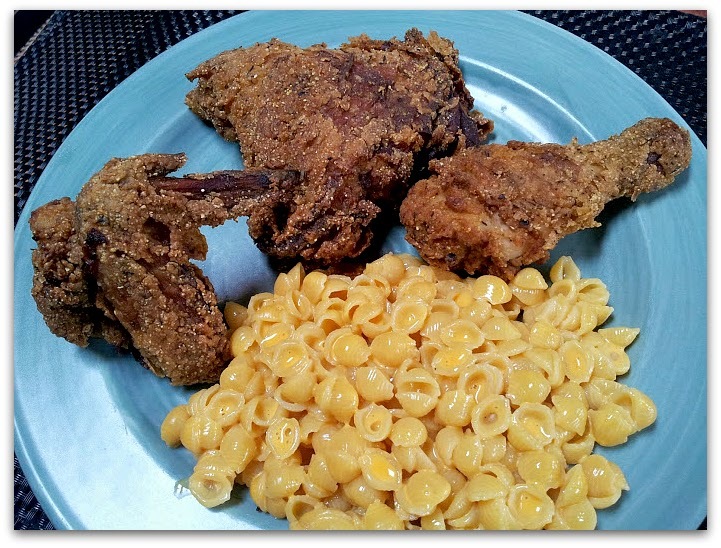 This is my new favorite fried chicken recipe. I discovered it in Saveur magazine a few years ago and it has become a staple in my house. The recipe is originally from classic book James Beard's American Cookery. I think there is something close to perfection making bacon for Sunday morning brunch and then using the bacon grease to fry delicious chicken for supper. 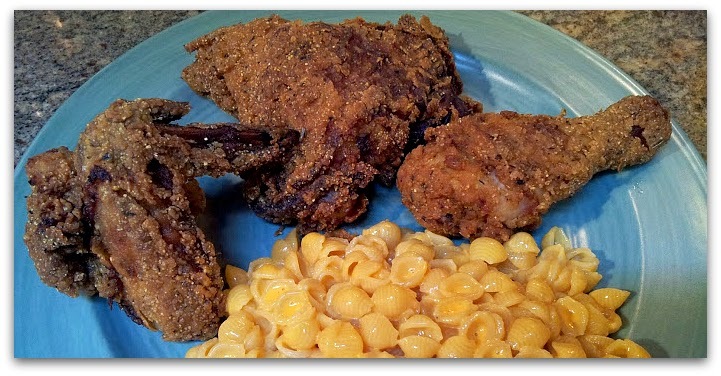 Light, crispy, non-greasy and full of smokey bacon flavor, this fried chicken will soon become a classic in your home too. Enjoy! I have made a few changes to the recipe over the years. My edits are listed in red font. The original recipe (including bacon grease dripping gravy which...ok, to be honest is too much for me but maybe for an over-the-top dinner?) is available by clicking here. 1. Place buttermilk, 1 tsp each salt and pepper in large, resealable plastic bag. Add the prepped chicken and seal. Place bag in a rimmed baking dish. Refrigerate overnight if possible but at a minimum 4 hours, turn bag 2-3 times to ensure chicken is evenly coated with buttermilk. Remove from fridge and drain. Pat dry with paper towels. 2. Preheat oven to 200°. Lay strips of bacon in a large cast-iron or other heavy skillet and cook on the stovetop over medium heat, turning often, until browned and crisp, 12–15 minutes. Put flour, paprika, cayenne pepper and parsley into a wide dish, dredge chicken in the flour, shaking off excess, and set aside. 3. Transfer bacon to paper towels to let drain, then use as desired in another recipe. Pour grease from skillet into a heatproof bowl and wipe out browned bits from bottom of skillet. Return grease to skillet, straining out any sediment, and heat over medium-high heat until hot. 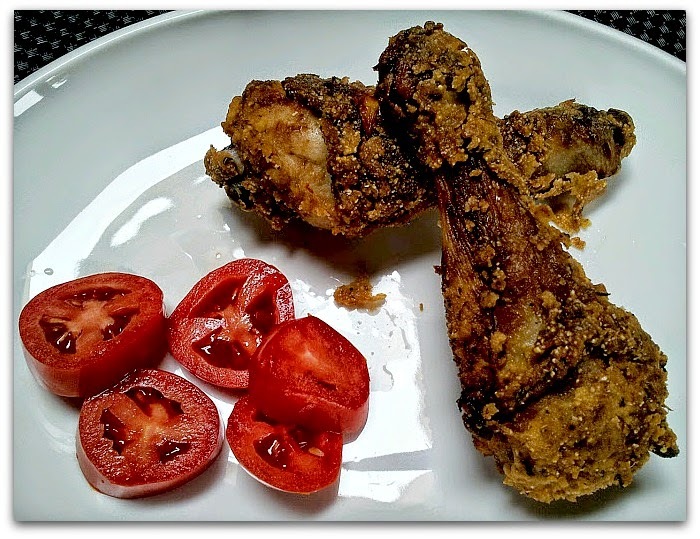 Add chicken legs and thighs, skin side down, to skillet, season to taste with salt and pepper, and fry, turning occasionally, until well browned all over, about 15 minutes. Transfer chicken to a wire rack set over a rimmed baking sheet as done. Repeat with chicken breasts and wings. Return chicken and any accumulated juices to skillet, reduce heat to medium, and continue to cook until chicken is cooked through, 15–20 minutes more. Put chicken on the wire rack set over a rimmed baking sheet as done and keep warm in oven. Serve hot, warm or perfect the next day cold out of the fridge. It is "Chicken" week at Food Network's #Summer Soiree roundup. Check out the other delicious sounding recipes from my blogger friends. Have a favorite chicken recipe? Share in the comments section and/or link to your blog if you have one.